This post originally appeared on the Findery.com blog. 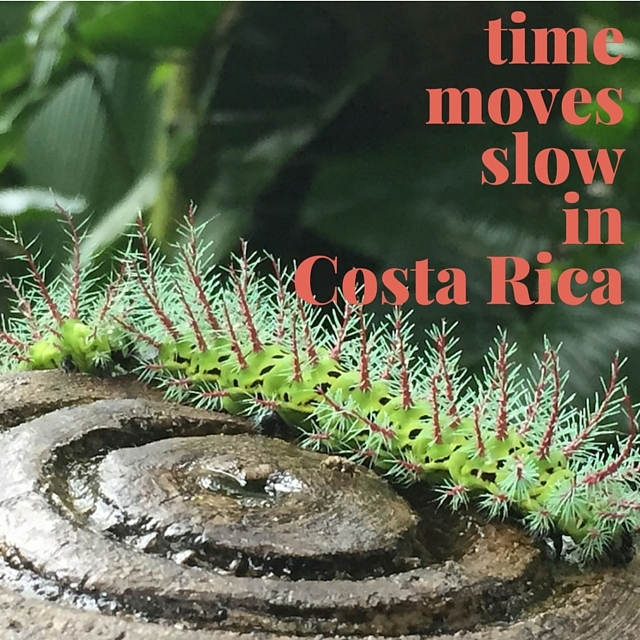 Figuring out where to visit in Costa Rica is no easy task. You have several regions to choose from, all offering vastly different experiences. 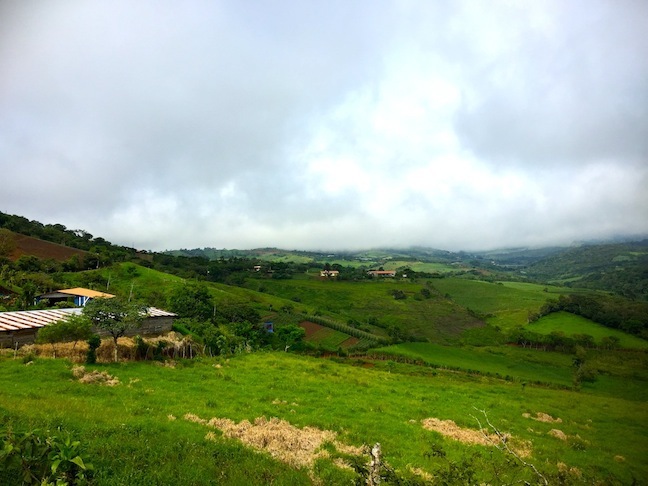 Discovering Costa Rica as a destination for a wellness trip was only one-third the battle. The other two-thirds took time, research, and an openness for adventure. Narrowing down the region where I wanted to visit for my five days in the country meant I had to prioritize what I wanted to do. Since my trip was a sisters-themed getaway, I knew that wherever I went there had to be a spa. More than that, the area itself had to exude peace, wellness, and nature. My sister’s requirements were to visit a waterfall, the spa, and a volcano. 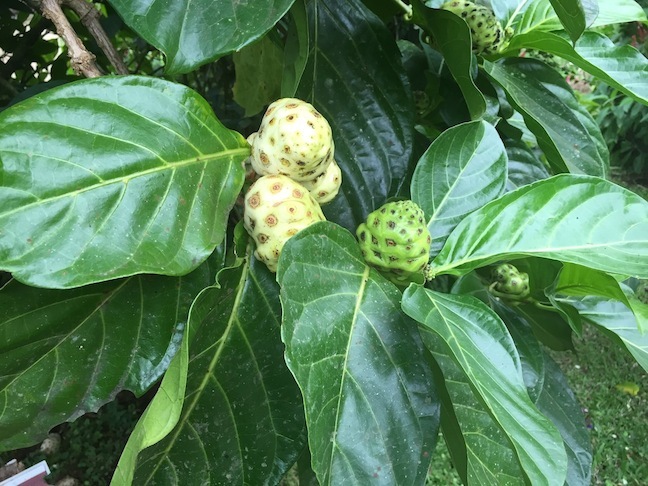 Normally specific requests like this can be a headache for a travel planner but in the case of a destination like Costa Rica it helped to narrow down our choices. The Arenal area had everything we both desired out of the trip. 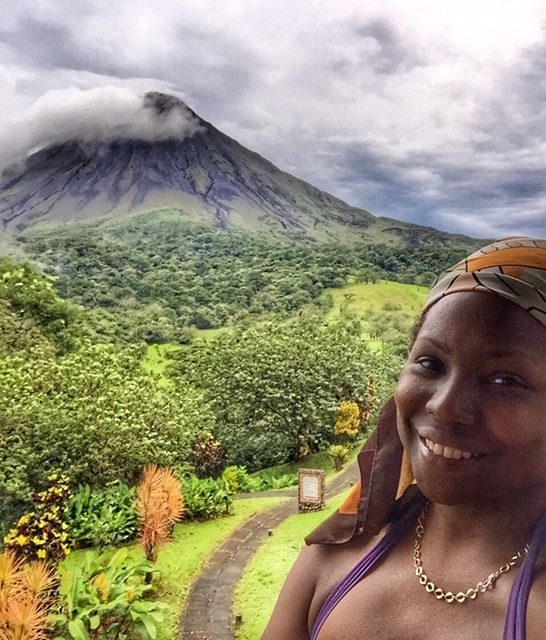 As an active user and influencer on travel discovery site and platform Findery.com, I’ve been asked to share where to stay, eat, spa, and play in Costa Rica for a wellness getaway. 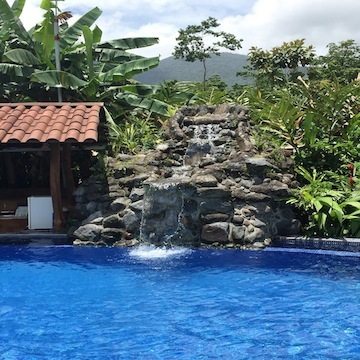 During my first couple of nights in the area, we stayed at La Casa Luna hotel in La Fortuna. This affordably priced hotel was selected for me by the Costa Rica tourism board who hosted my first two days’ stay in the country. 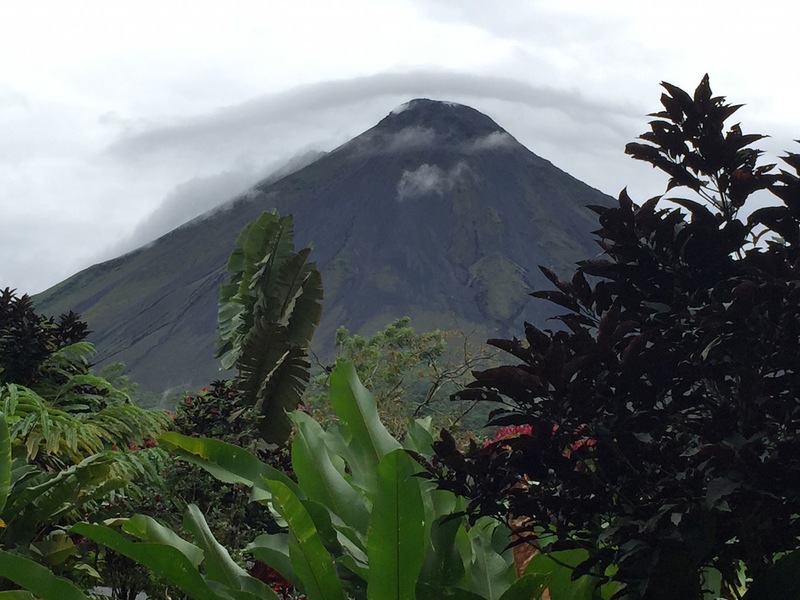 The hotel is a seven-minute drive from downtown La Fortuna and has an incredible view of the Arenal volcano. 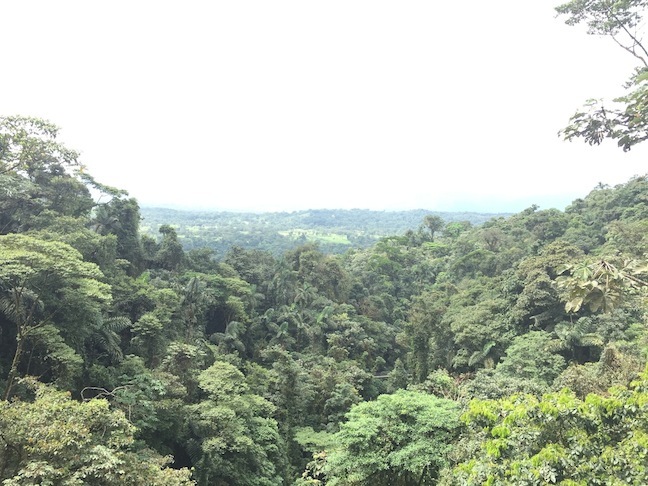 When I asked our driver Jorge how far we were from the rainforest he responded, “you’re in it.” No lie. 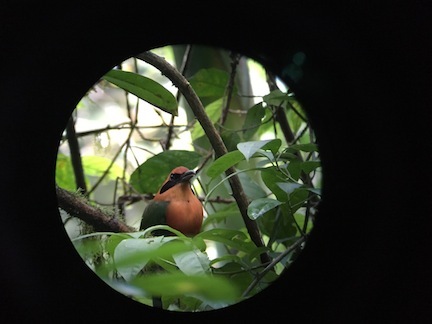 The hotel is surrounded by lush plant life and a dozen or more species of birds and other rain forest dwellers. The pool at Casa Luna Hotel with the volcano backdrop. Labeled foot paths lead to the various four-suite buildings, trails, hot tub, the pool, and the spa. 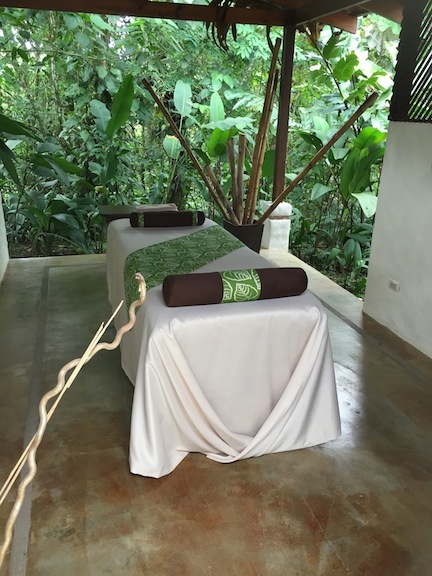 Casa Luna’s spa is a unique outdoor experience. Neither my sister nor I have had spa services in the elements. Theoretically, it’s a beautiful and relaxing idea, however, when you are cocooned in a Costa Rican chocolate wrap treatment you’re nothing more than a tasty appetizer for mosquitoes. Thankfully we were visiting in September and not as many insects were out to play. 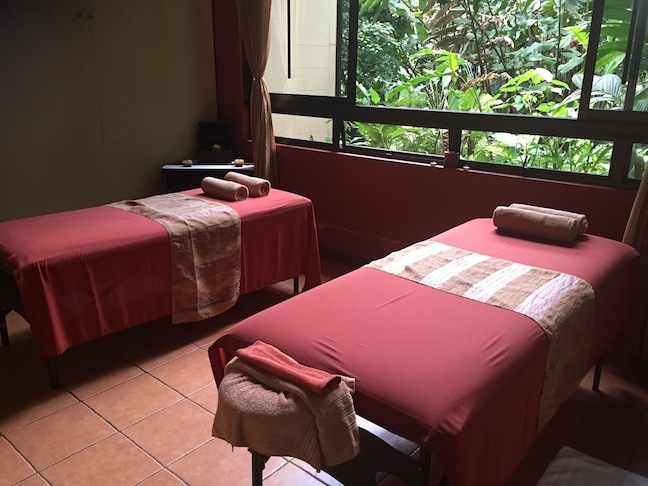 Ten miles down the road you’ll find a completely different spa experience at the Arenal Kioro Resort where we chose to spend our remaining nights in the area. The Kioro resort is gated and perched on a hill overlooking La Fortuna area. On the opposite side of the resort, the volcano sits in what looks like arms reach. 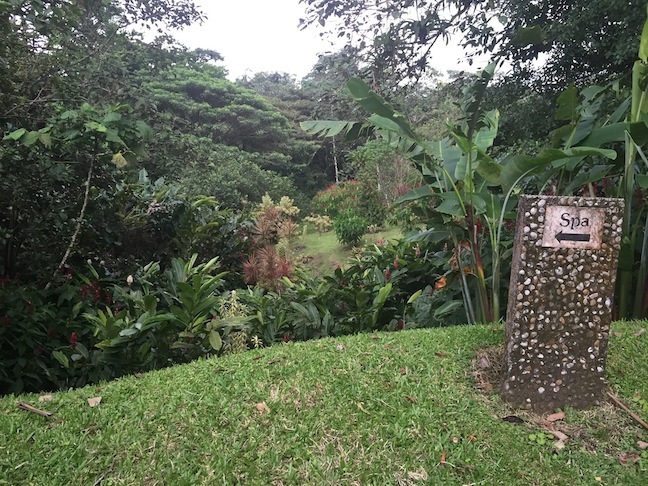 The landscape and grounds at Kioro are perfectly manicured, also complete with labeled pathways and information markers for the trees and plant life that inhabit the property. Our room was an immaculate family suite that houses two queen beds, a daybed, beautiful furniture, and most important of all, a Jacuzzi coupled with the best view of the volcano a girl could ask for. Walking through the grounds on my way to the indoor spa felt like a visit to the botanical gardens. Twists and turns led to inclines, waterways, a pool, and the creme de la experience: the on-property hot Springs. 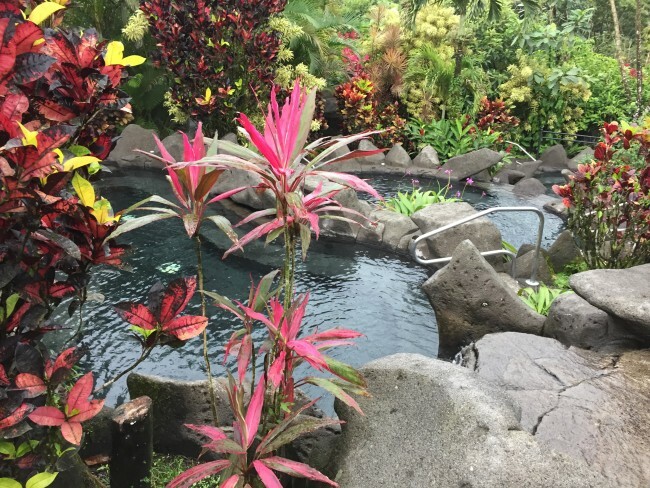 Unlike other resorts in the area, Arenal’s hot springs are only available to guess. This exclusivity limits the traffic in the area and almost always guarantees your own personal geothermal outdoor spa. Nine hot springs in total, you can choose from brick cold to piping hot, small and intimate to large and party-style. Whatever your fancy the experience is guaranteed to be phenomenal. 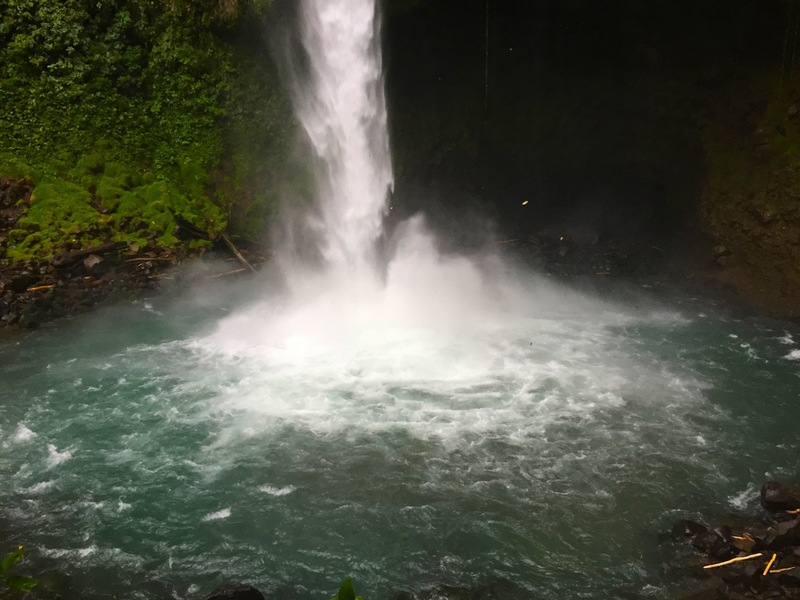 Apart from visits to hot springs, La Fortuna area also offers zip lining, caving, chocolate tours, rappelling, birdwatching, hiking, hanging bridges, waterfalls, volcano walks and more. 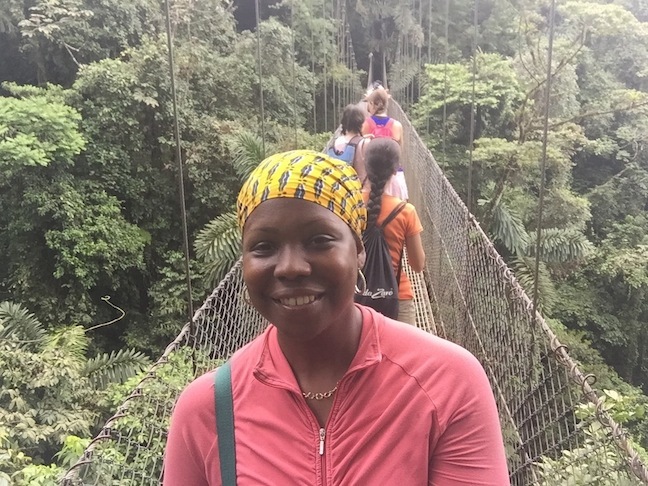 We opted to do a day tour with EcoTerra to experience the area waterfalls, hanging bridges and the volcano. 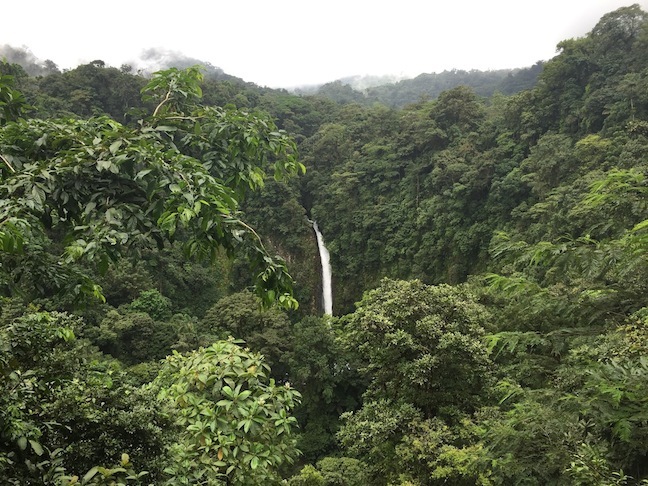 The La Fortuna waterfall is the most popular in the area. It is protected in a park which requires a small entry fee designed to preserve the area and give back to the local community. The hike down to the waterfall is an adventure. Once we arrived to its base, we immediately realized the physical effort was well worth the trek. The Mistico Arenal Hanging Bridges Park also has its own waterfall but it is nothing as impressive as La Fortuna’s or the bridges themselves that give the park its name. 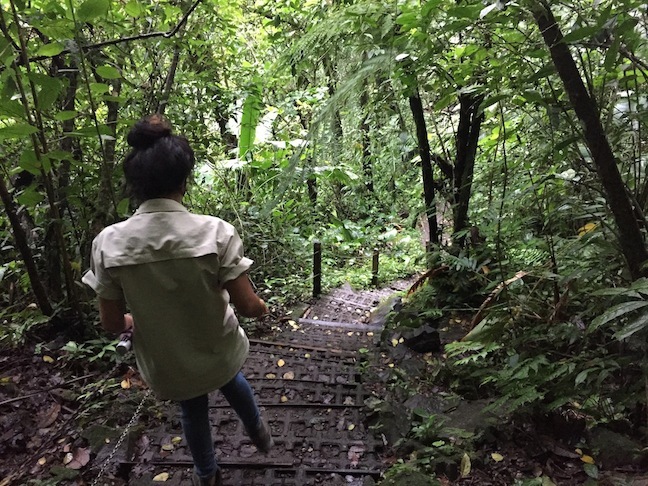 Our two-hour hike through the park took us across a dozen bridges and through the most scenic views of the Arenal region. A lesson in the history of the volcano. You cannot come to the area without visiting the volcano. A mostly flat hike took us through both new and old forest. We walked along pathways covered by old volcanic sediment from the most recent eruption. After a rocky climb we arrived to a peak with a birds-eye view of the Arenal lake and the volcano. 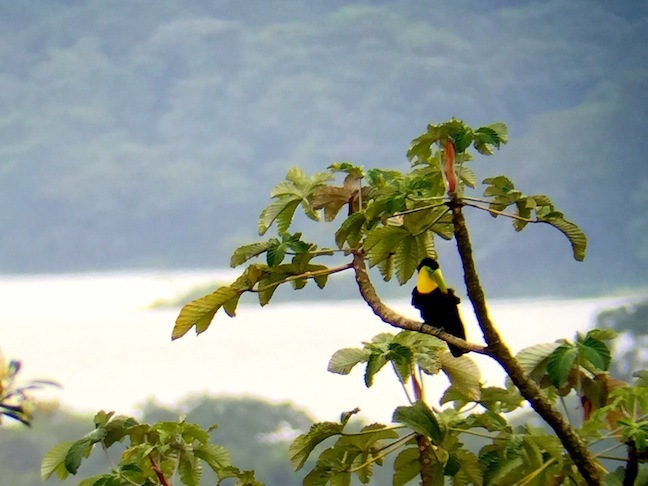 Varying species of toucans and other birds populate the trees in the area, making the hike also fun for birdwatching. 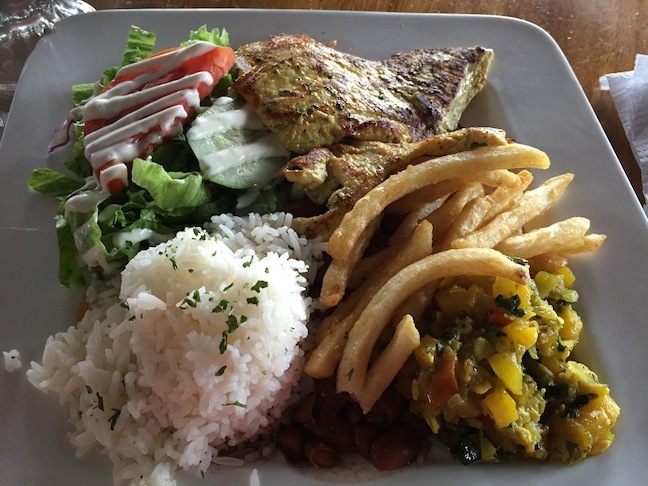 There are several local restaurants to dine in downtown La Fortuna. Two of our drivers recommended Los Nenes. Admittedly, we were so beat from all of our activities that we kept things simple and dined at our respective hotels every day except for the first night. 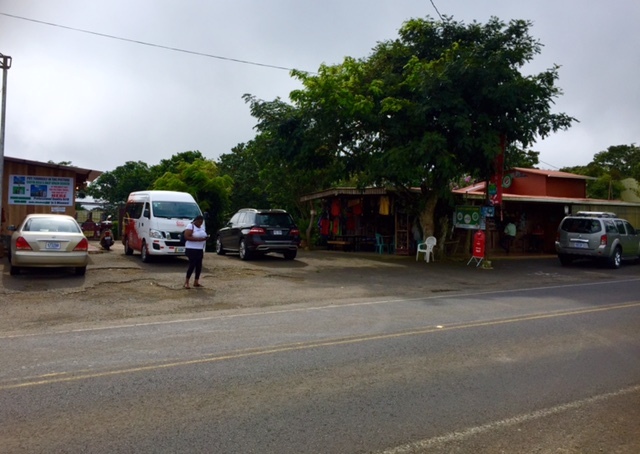 On our way to La Fortuna from San Jose airport, we stopped at a small local dive on the side of the road called Bar Chicharronera Mi Rancho. As they say, “when in Rome do as the Romans do”, so we ordered the traditional Costa Rican meal of Casado: beans, rice, plantains, and a meat. Delicioso! I’ve only scratched the surface of this beautiful country on my first trip. Because of my amazing experience and the inviting “Pura Vida” attitude of the Costa Ricans, I look forward to discovering more. Ohhh yes, the hot springs were probably my favorite part. I am SO intrigued by that chocolate wrap spa treatment! I can’t be held responsible if you end up licking your arm. Looks like you had an amazing time! We’re big fans of Costa Rica because for us it offer the best of all worlds. You can relax and enjoy your natural surroundings or go on awesome active adventures. I totally agree Mary. Relaxation and adventure, all rolled up in one. What an amazing-sounding trip! I’m totally obsessed with the photo of you with the volcano. Absolutely gorgeous shot of both the landscape and you! Thanks Lillie. 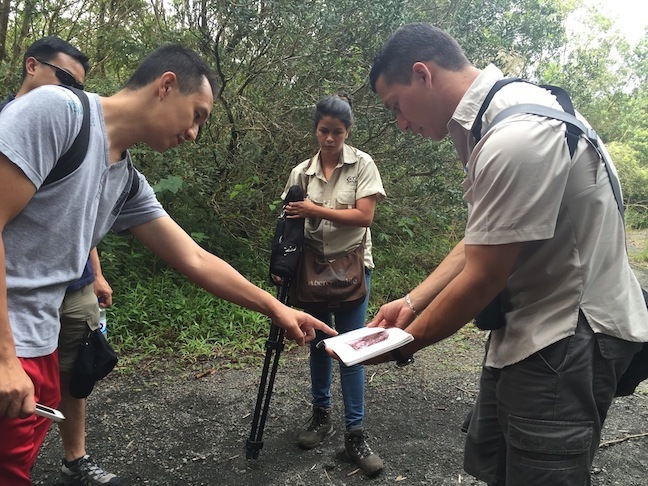 I love love love talking about Costa Rica because we had such a magical time there. Looks and sounds like an absolutely incredible adventure…waterfalls, volcanoes, and rope bridges?! So fun! And what a beautiful place you stayed in–that view is killer! It was INCREDIBLE! I can’t wait to return. The view was out of this world.